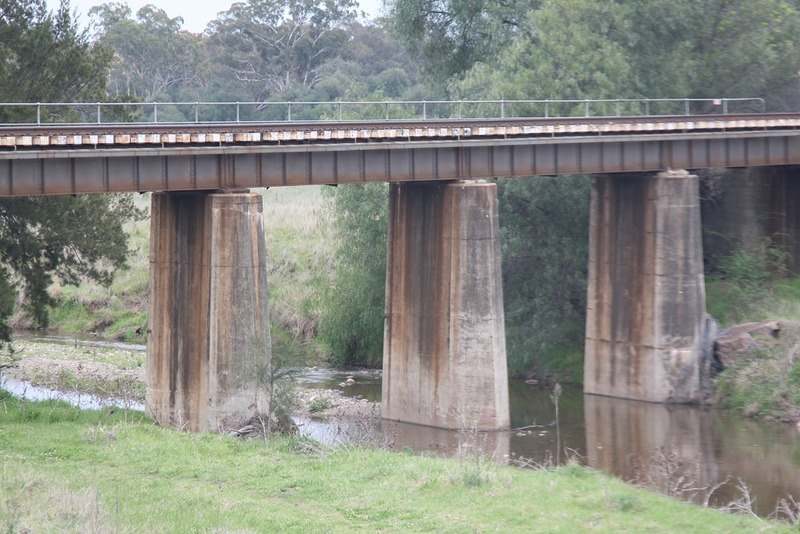 I’ve been wanting to start assembly of the Chilcott’s Creek bridge for some time now and finally bit the bullet this arvo. 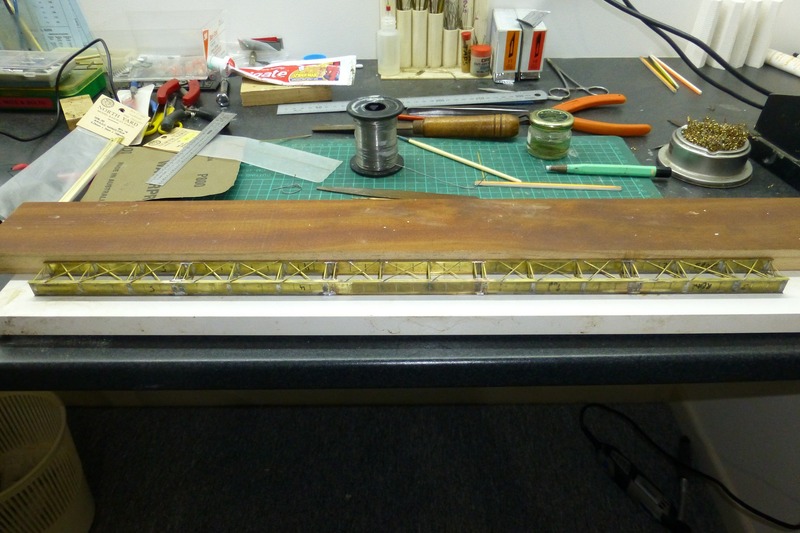 The five sections are now soldered together. 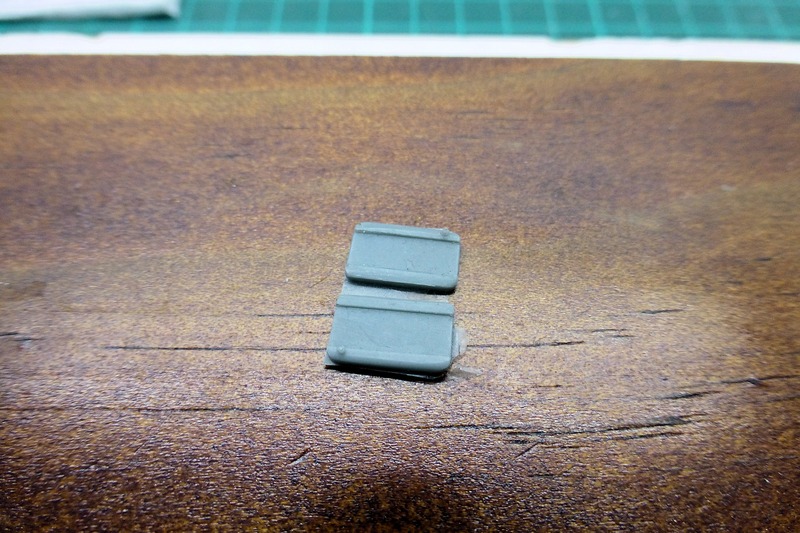 They were laid upside down on a flat piece of board and against another piece of timber with a true edge. 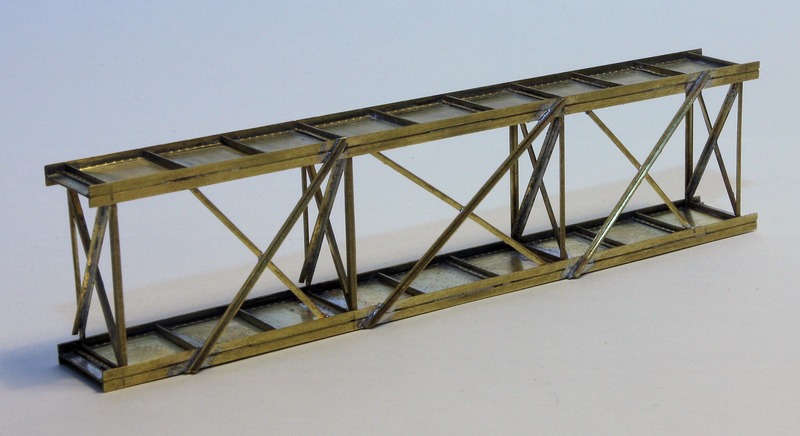 This ensure the tops of the girders remained true and even and aligned straight. 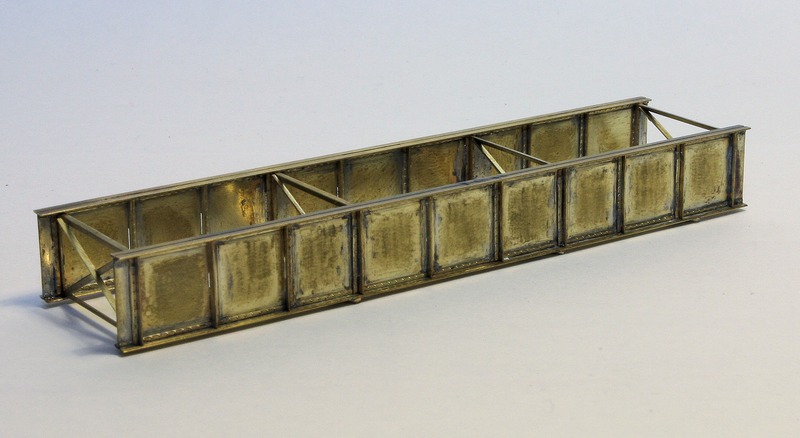 Small pieces of brass strip were then soldered in place as shown below. 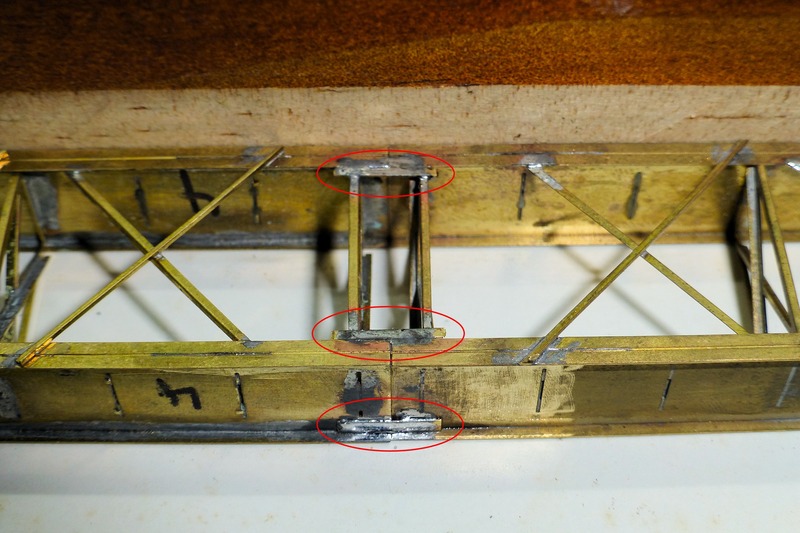 As each joint was being made, it was checked for straightness. The finished product is shown below. 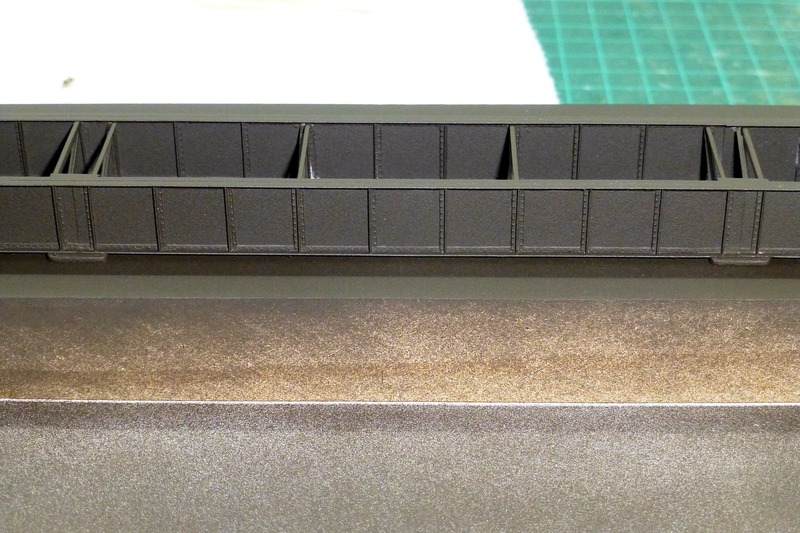 A close-up shot of the viewable side of one of the joins. 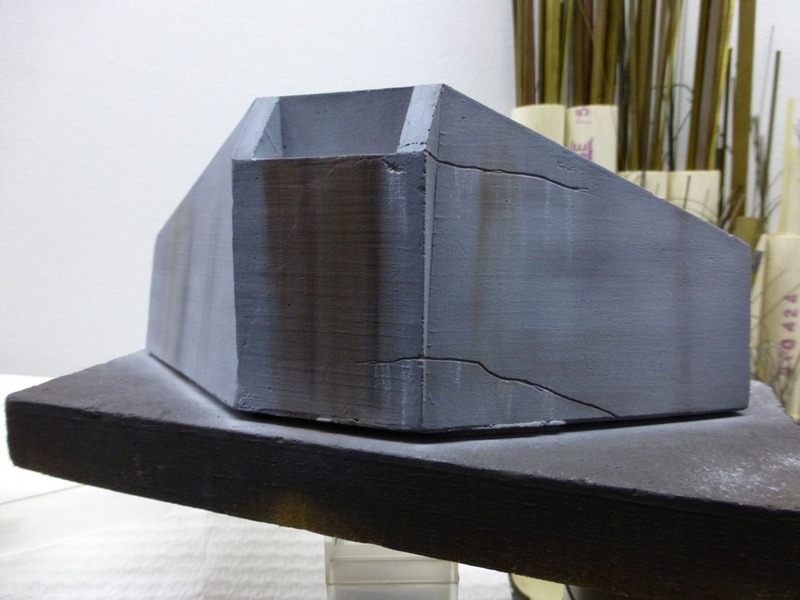 The piers are plaster castings done for me by Ian Phemister. 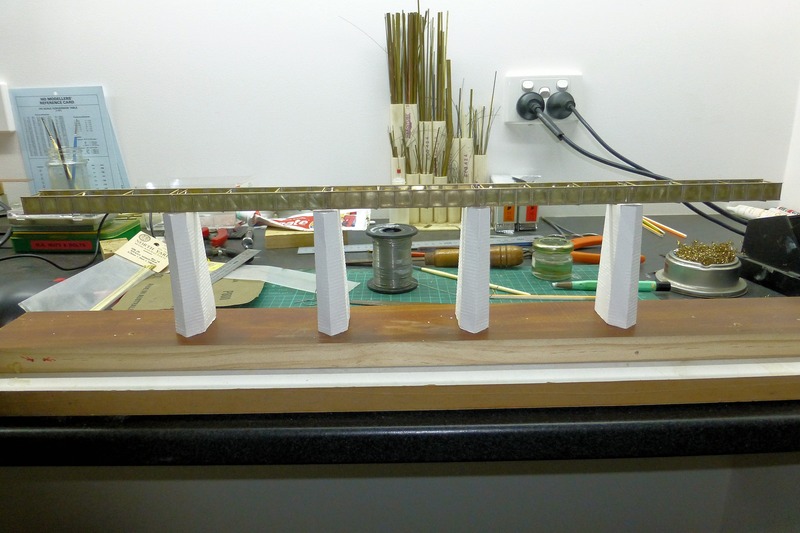 The next stage will involve painting the spans and then mounting the abutments on a piece of 9mm plywood which will form the base of the bridge sub-assembly. The bridge will then be placed on the abutments. The piers will then be shimmed to fit underneath. More on that in the next post. 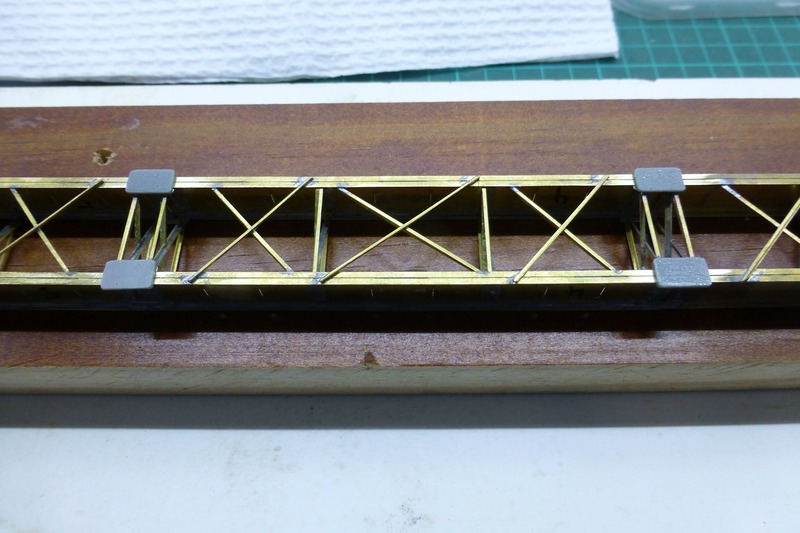 Yesterday I completed assembly of the test etch for the 30 foot plate web bridge girder. It went together pretty well, albeit with some rather fiddly bits, but I am pleased with the finished product. 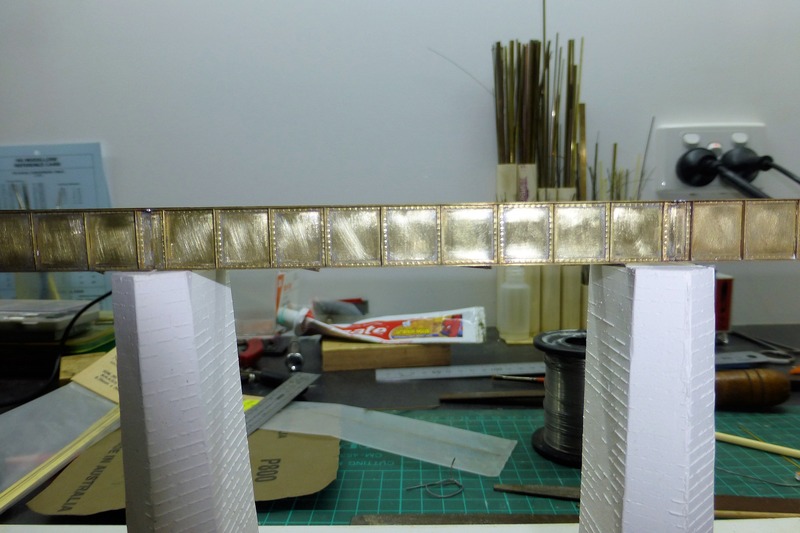 I’m hoping the rivet detail comes up OK in these pictures. I hope to borrow Andrew’s sandblasting tool to clean it up prior to painting. I have a few things to report back to the designer of the etch, but these are very minor. 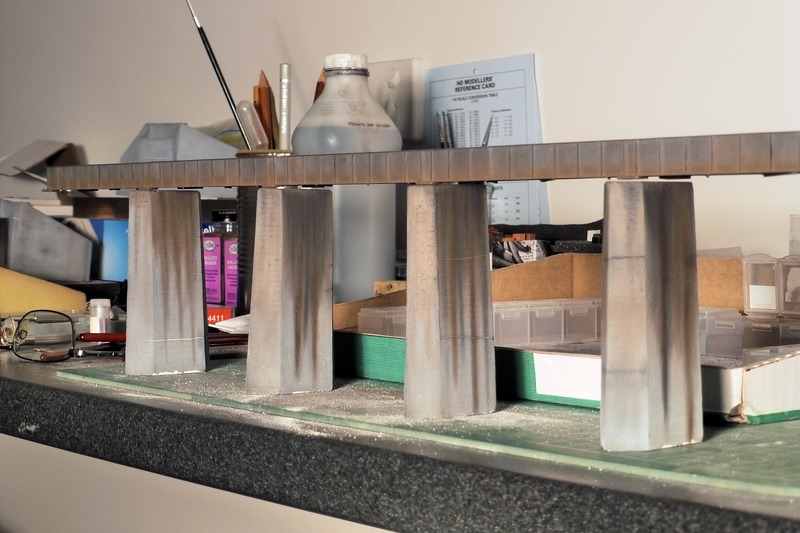 I look forward to future etches, with only four more now required for the bridge. The brass etching certainly beats a plastic version hands down. The resultant structure is very strong. You just can’t beat metal etching for fineness of detail.